I missed it by two days, but I have now officially been blogging for 9 years :) I am not a career blogger, I have a very busy full time job, and a wild off-duty ecology surveying habit, so sometimes I don't have time for blogging. However, it's an outlet for a lot of things I love, and according to Google Analytics, a lot of people read my posts! So to celebrate I wore the most amazing nail polish from Zoya, it's from their Urban Grunge collection from 2016, and it's a scattered holographic. I can only say that it's a 10 out of 10. 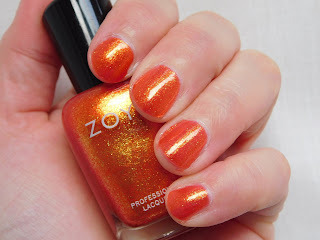 The formula is amazingly pigmented, the holo particles really shimmer on your nails, and used with Zoya's base and top coat Anchor and Armor, I managed to get 7 days of really good wear out of it. AND it was easy-peasy to remove with no staining! I did 2 coats here. Love this, it's easily the top polish of the year! 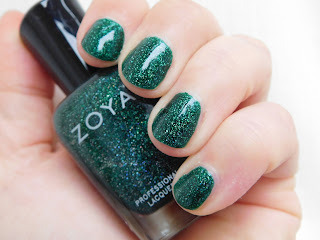 I am venturing into more toxin-free nail polish at the moment, for no other reason that my friend is into her cruelty free nail polish, and have showcased some nice Zoya nail polishes lately! I also bought the Zoya top and base coat, Armor and Anchor, to try but I want to give it a few more manis before I do a review on that combo!  The main attraction for many with this brand is that it is vegan, cruelty free and 10-free (that's right not 3, 5 or 7...), but for me it's actually the range of colours... I have had a few Zoya which didn't behave and I know why now; they do not play nicely with formulas that are not at least 3 free! Love this polish, it's not a current collection so you may have to hunt around for it, but it's worth it!